IZVESTIA has an exclusive whole-page interview with the Secretary of the Security Council of the Russian Federation, Nikolai Patrushev. She asks him if the role of the Security Council is rising as was predicted after his appointment. Patrushev responds that the council is a constitutionally endorsed body headed by the President of Russia, and that its role in the system of government has always been important enough. Its main function is the analysis of Russia's international and domestic situation, of events that have national security implications for Russia, and finding decisions and solutions. Asked about the council's view on the Kosovo problem as an example of such an issue, Nikolai Patrushev says that in Russia's view the Kosovo issue is not unique, as the West would like others to believe, but as complex as in any other region with active separatist movements. He continues that the Security Council discussed Kosovo many times at its meetings. 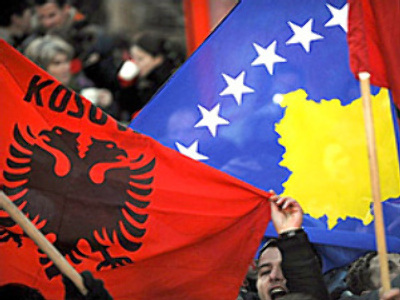 “The problem with that particular region is that Albanian Kosovars imply their ethnic rights as they constitute the majority of the population and the Serbs imply their historical rights to that land as the cradle of their statehood. We warned our partners many times that the recognition of Kosovo's independence would create a very dangerous precedent. However, Russia was forced to recognise the independence of South Ossetia and Abkhazia not because of the Kosovo precedent, but because it could not watch in cold blood how the Georgian regime commits genocide, mass murder of Russian citizens and peacekeepers.” Patrushev explained. NEZAVISIMAYA GAZETA publishes an opinion piece by Rose Goetemoeller, the Director of the Moscow Carnegie Centre who writes that to prevent Russia-U.S. relations from going completely into Cold War mode, the two nations should create a permanent discussion panel consisting of former presidents of the U.S., USSR and Russia. The author of the article says, presidents Carter, Bush Senior and Clinton could join the panel on the American side (George Bush Junior is welcome after January 2009) and Presidents Gorbachev and Putin on the Russian side. Goetemoeller also writes that participation on such a panel would clarify for the West the role of the former President, now Prime Minister, Vladimir Putin in the forming of Russia's foreign policy. KOMMERSANT has an article by the Director of the Centre for European and International Studies of the Higher School of Economics in Moscow, Timofei Borodachev. He says that the 'new Cold War' between Russia and the U.S., if it goes on in the current 'soft' form, may guarantee Europe the central role in world politics, a role of an independent mediator and global broker, for a long time. In that case, says the author, a lot would depend on Russia's foreign policy. He adds that very soon the right time may come to convert the existing deep economic inter-dependence of Russia and Europe into a new level of political relations. ROSSIYSKAYA GAZETA writes of the planned merger of three Russian right-wing parties, The Union of the Right Forces, The Citizen Power and The Democratic Party of Russia. It says that it is inevitable that now, after the failure of the radical policies of the right-wing during the last national election, that these three parties can continue to exist only if they unite. The union, says the paper, is masterminded by government loyalists in all the three parties. That is natural, writes the paper, given the real interest of the sector of the electorate these parties represent: liberal bureaucrats, mid-sized and small business and the better-paid part of the intelligentsia.